Right, as iPhone 6s(6s plus) looks so similar to iPhone 6(Plus), what are the differences between iPhone 6S and 6 Plus or to say, what advantages iPhone 6s has over iPhone 6 plus that get people to buy it? 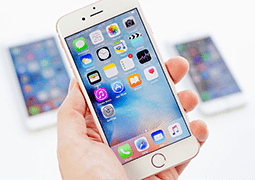 If you have the same doubt, this iPhone 6S and iPhone 6 Plus comparison will help, as we round up comprehensive information about iPhone 6S and make a detailed review on iPhone 6S vs iPhone 6 Plus here. 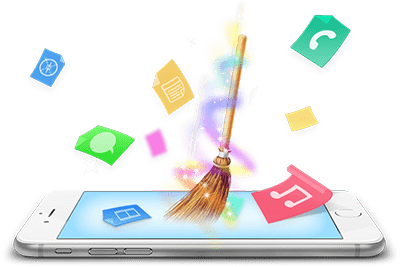 To celebtrate the 10th anniversary iPhone, MacXDVD is holding an iPhone survey contest and a Mac app giveaway so that you can win iTunes Gift Card and get free gift for easy management of your iPhone in an easier way. Besides, iPhone 8 tips and tricks are available in the page. You can also see the comparison between iPhone 8 and iPhone 7 here. As we can see, new iPhone 6S stays substantially similar to iPhone 6 Plus and there are not many noticeable changes. Therefore before we compare iPhones, let's have a look at the aspects users care most about iPhone 6S and iPhone 6 Plus. 1. Display: How big the displays of both iPhones are? Which display delivers sharper view experience? Is is wonderful to watch Hollywood movies thereon? 2. Operating system: Does the new iPhone 6S pair with iOS 9 system? What benefits can it bring? 3. Processor: How about the processor? Which is faster, iPhone 6S or iPhone 6 Plus? 4. 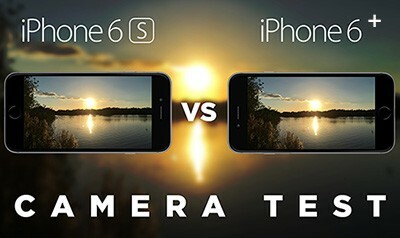 Camera: Does iPhone 6S upgrade the camera than iPhone 6 Plus? Or any improvement will be made? 5. Battery: How long can both iPhones run? Does Apple improve the battery life of iPhone 6s? 6. Internal Memory: irrespective of iOS 9 iPhone 6s or iOS 8 iPhone 6, they at least have one con in common: limited storage space, especially the 16GB iPhone. MacX MediaTrans - comes to rescue you. It supports you to backup and transfer iPhone files to Mac to free up iPhone space. Transferring music, photos and videos from iPhone 6s/6 Plus to Mac computer can be finished within seconds. The 2015 new iPhone 6S sticks with the same size and resolution as iPhone 6, namely 4.7 inches and 1334x750 pixels (326ppi), along with a larger 5.5-inch (1080x1920 pixels) device iPhone 6S Plus. But compared with iPhone 6 plus, iPhone 6s gets an breakthrough in its display with a new techonology named 3D Tough, an upgraded version of the Force Touch Display in the Apple Watch, meaning that the screen can sense multiple levels of pressure. 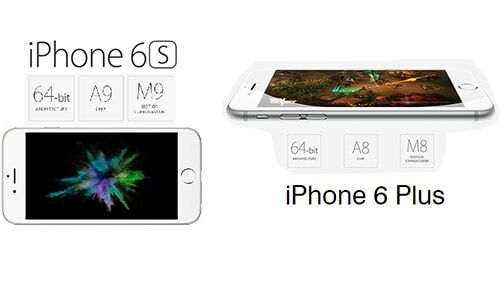 By the way, there is also a flurry of leaks saying that not only iPhone 6S, but also iPhone 7, Galaxy S6 have something in common with iPhone 6 Plus. You can have some detailed info from iPhone 7 vs iPhone 6S, iPhone 7 vs Samsung Galaxy S6 . The Force Touch screen in new iPhone 6S is a significant difference between iPhone 6S and iPhone 6 Plus as it can distinguish between different gestures like a light tap and a harder press. Besides, 3D Touch lets users navigate on the iPhone by sensing pressure to enable new gestures such as Peek and Pop. Both iPhones ship with superb displays, so in the iPhone 6S VS iPhone 6 Plus comparison, both iphone prove to be well suited for HD video playback. Another highlight of iphone 6s over iPhone 6 plus is the adding of a cute color rose gold, which will be a favorite feature for female users. 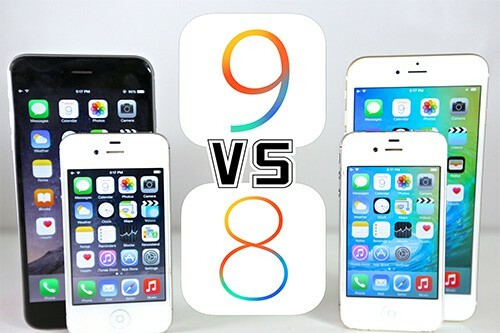 iPhone 6 Plus is likely to lose the iOS system round of this iOS comparison - iOS 9 vs iOS 8. Apple's next-gen iOS 9 is another killer feature of the new iPhone 6S. The new iOS system iOS 9 is a touchdown with the iPhone 6S. Instead of new feature additions, the new version places much focus on bug fixing, stability maintaining and performance upgrading. As we have seen a range of iOS 8 problems and performance issues that come along with iPhone 6 Plus, surely a better experience will be get on the new coming iPhone 6S. Well, no matter iPhone 6 or iPhone 6S, both of them are available for iOS 10 update right now. And the brand new iOS 10 will surely give you an incrediable performace from the comparison of iOS 10 vs iOS 9. Notes: Before you upgrading to iOS 10, you'd better know how to backup iPhone 6/6S (Plus) and then make a backup in case of data losing. Significant performance improvements can be seen in the new iPhone 6S as the new iPhone 6S receives a boost in Ram to 2GB and feature the new14nm Apple A9 processor. While the iPhone 6 Plus sports 1GB of RAM and A8 processor, which delivers zippy performance and works pretty smooth, iPhone 6S will beat iPhone 6 Plus with ease. More specifically, when iPhone 6s (plus) vs iPhone 6 (plus), A9 is 70 percent faster than A8 in usual computing tasks and 90 percent faster at graphical tasks like gaming. So it will be an easy choice between iPhone 6S or iPhone 6 Plus. A good entertaining device and you may watch movies smoothly with proper iPhone 6S/7 movie apps. New iPhone 6S(6S Plus) gets a huge jump in camera with a 12-megapixel iSight camera and 5-megapixel FaceTime HD camera with Retina Flash. In iPhone 6 vs iPhone 6s(6s plus) comparison, there is another significant feature in iPhone 6s (Plus) camera: the support for a resolution of 3840 x 2160 aka 4K for video-recording. As for the battery, as many users expected that iPhone 6s would boost the battery to fix complaints about iPhone 6 Plus battery life, it does not. The rated battery life of the iPhone 6S is identical to iPhone 6 Plus. The iPhone 6S comes with a 1,715mAh battery, even lower than iPhone 6's 1,810mAh, while iPhone 6s Plus pairs with 2,750mAh. But you can save iPhone 6S battery by taking some tips, such as switching to lower power mode, turning off 4G/Wi-Fi etc. By the way, these can also be applied in iPhone 7 battery life improvement as well. Whichever iPhone you're using, the iPhone 6s or iPhone 6 Plus, you have the same headache - insufficient storage space, especially for 16GB iPhones. Both iPhone 6s and iPhone 6 Plus are the ideal smartphones to capture 4K Ultra HD pictures and 4K videos, which win your favor because of their crisp image in high definition and make you upset due to its large file size (4K picture is the 4 times larger than 1080p HD picture). In a bid to make room for your iPhone 6s/6 Plus, you can have a shot on the best iPhone manager - MacX MediaTrans, which lets you transfer 4K photos, music, videos from iPhone 6s/6 Plus/SE iOS 10 to Mac computer (macOS Sierra) to dramatically free up iPhone space and make a backup of iPhone files, as well. Kill two birds with one stone. Conclusion: Now you may have a rough idea of the reviews of iPhone 6 Plus vs iPhone 6s. You should note that iPhone 6 Plus is only a few months old and is among the top phones to date which will not lose its luster in the long-term future. 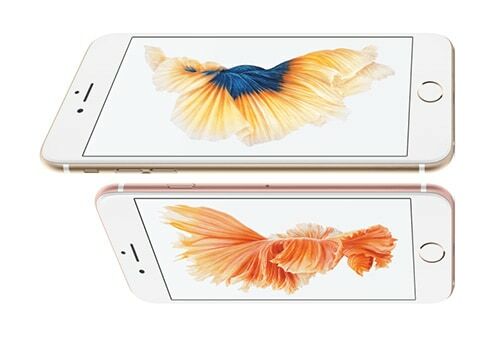 The iPhone 6S without doubt brings more dazzling features, but come at a price premium. iPhone 6S or iPhone 6 Plus, that will largely depends on your own needs. From the above iPhone 6S vs iPhone 6 Plus comparison, you may have made your decision about whether to buy the current iPhone 6 Plus or wait for the new comer. Whichever you choose, one thing is for sure from this iPhone comparison: both iPhones will give keen enjoyment in playing videos and movies, especially those in HD formats. Below is a simple guide on how to play HD videos and DVD movies on both phones. 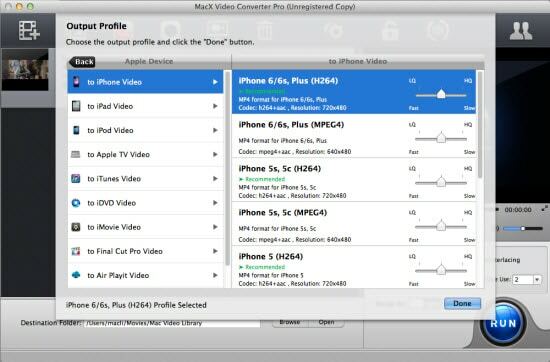 MacX Video Converter Pro is an expert in converting videos in any format like SD MP4, MOV, FLV, WMV, AVI and HD MKV, MTS, TS and even 4K UHD etc to iPhone video format, including iPhone 6s/6s Plus, iPhone 6/6 Plus, iPhone 5S/5C and more with world's fastest speed (5X faster than any video converters) due to Intel QSV supported and no quality loss. Besides, it also features a powerful online video downloading ability, which allows users to free download video, music, movies from YouTube, Facebook, Vimeo, Dailymotion, etc. 300+ sites to both iPhone 6S and iPhone 6 Plus. Redesigned iPhone X/iPhone 8 vs iPhone 7/Plus, what are the full differences? The specs comparison between iPhone 8 and iPhone 7/Plus shows the iPhone 8/iPhone X with OLED display, faster A11, edge-to-edge glass body against iPhone 7/Plus IPS LCD display, powerful A10, 3D Touch etc in detail. iPhone 7 vs iPhone 6(Plus) vs Samsung S6 detailed comparison is gathered, know more about iPhone 7 vs iPhone 6 or iPhone 7 vs Galaxy S6 in design, display, camera, etc. here. Apple iPhone X vs Samsung Galaxy Note 8 vs Galaxy S8 (Plus) comparison on displays, batteries, performances, prices, full specs will tell you how will iPhone X defeat Galaxy Note 8 and Galaxy S8. MacX MediaTrans is an all-in-one iOS iPhone transfer app to transfer files from iPhone 6s/6 Plus/SE to Mac, as well as backup photos video music between iPhone iPad iOS and Mac with world's fastest speed!